With this truly exceptional home and grounds you are buying a "lifestyle". 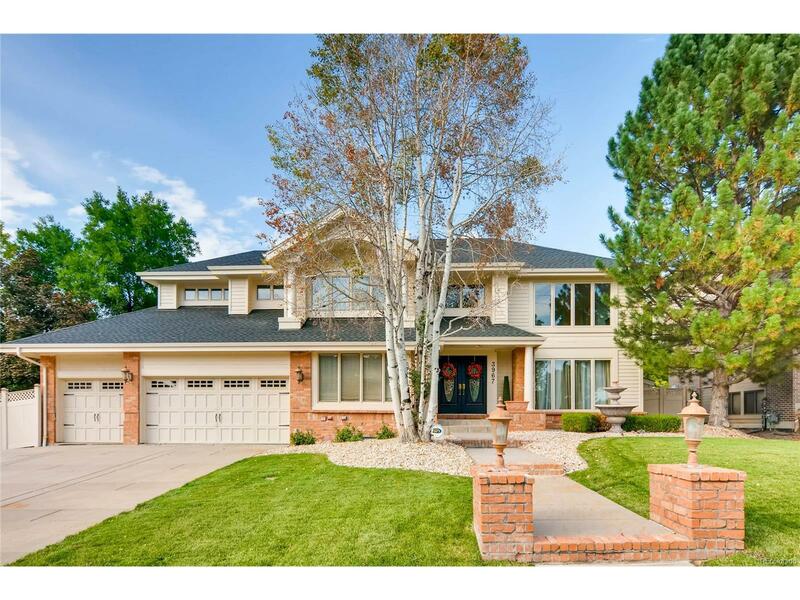 This home on almost 1 acre lot has been loved, updated, remodeled, & beautifully maintained. You'll love this 5 BR, 5 BA 2-story with exciting finished bsmt, coffered ceilings, granite, pendant lighting, full appliance package, 2 gas FP, new & added windows, new carpeting & paint; built-ins; 2 laundry rooms; pamper-yourself master suite; gourmet kitchen; ceiling fans; wonderful finishes, sauna, steam shower, exercise room with TV & mirrored walls; study; Jack-N-Jill bath; guest suite, coffered & more. You'll fall in love with the lush sprinklered grounds, your own in-ground pool with impressive decking; extensive patio areas; cabana with Kegerator, TV, and changing room; water features; sports court; and so much room to entertain or relax in this private, peaceful paradise in your new hot tub. You'll appreciate the retractable awning, heat lamps; new roof, garage doors, gutters, outside paint; & front sod.